Sometimes we make mistakes and when that happens, you want to make sure that you’re able to fix the problem and move on. It can happen when it comes to choosing the wrong builder for the home that you’re having built. Here are some of the warning signs that show that perhaps you have not chosen the right builder and maybe you should reconsider who should be building your home. Lack of a license – this is a big no-no. You want to make sure they’re professional and professionals hold licenses to do the home building. Lack of insurance – what if something happened while they were building the home? You want to make sure you, your home and they are covered in case of accidents. Seems too good to be true – if anything that they say sounds too good to be true, then it probably is. Make sure to check references and past jobs before hiring them on. Just trust me – lack of experience might be backed up with this phrase. If they say it, they’re not the right ones. You need to find someone that can show they have credentials and experience in the home building field. They don’t communicate well – when this happens, you don’t want to work with them. You want someone that is going to walk and explain things to you when needed. Not having the right communication can cost them the job. They do not get the proper permits – if they don’t get permits or don’t believe you need one, then think again. A home build needs permits, so make sure to go with a professional that can obtain these for you. Having a home built is a big thing. The home must be structurally sound and built right. To have this done, you need to work with professional contractors in the field that can deliver on their promises. Make sure to speak with the right ones. 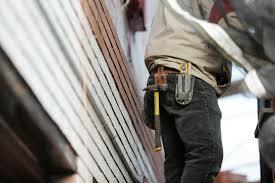 Contractors Today is connected with numerous home building contractors working in your area. Give us a call today or fill out our form below and get in touch with us to learn more!